The Ground notebook is ideal for making notes or sketches on the go. 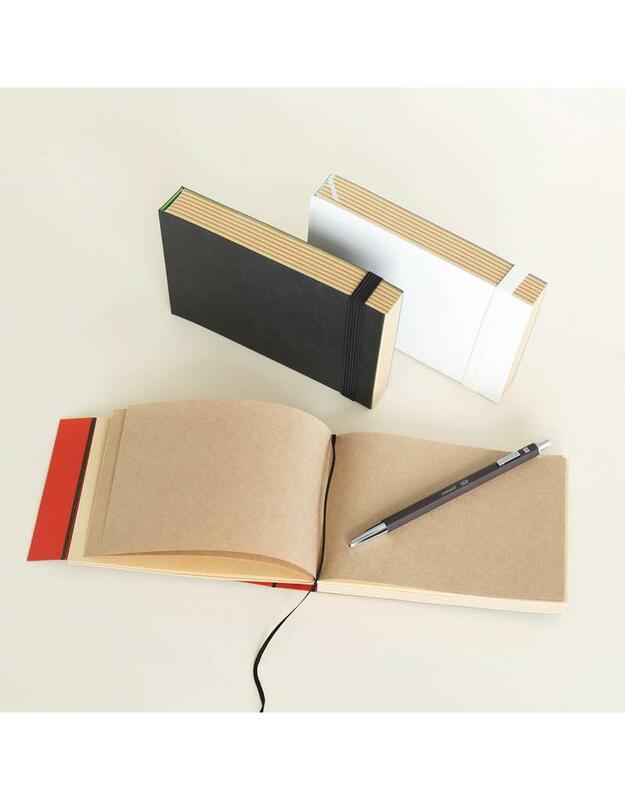 Designed to be easily opened and held with one hand, this pocket notebook features a unique hinged binding and an elastic band closure. 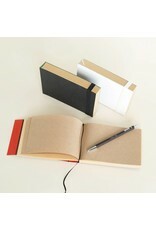 Two tones of kraft paper are interleaved inside, so your thoughts always feel fresh. 15cm x 10.5cm. 528 pages.